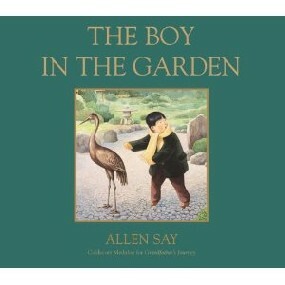 Allen Say is the great picture book creator who received a Caldecott Medal for his book Grandfather's Journey. In the interview below, he talks about facing new experiences and challenges. A bio is here. Allen Say is really amongst my favourite authors and I like the way he writes...just can't resist to grab the copy of ' The Boy in the Garden'...lovely sharing..!! Yes, Say is a great picture book maker! Essay writing, it sounds like you are an Allen Say fan! When I think about his illustrations, I think that his pictures have dignity and emotion, too. Allen's picture making talent has always been remarkable to me and also the most persuaded factor of what drives me to purchase his each and every sharing...Glad that you added one from Allen's talent arena!